Find yourself with your boo on Ballard Avenue for a little retail therapy. Proclaimed as a hip waterfront neighborhood full of trendy restaurants, bars, and craft breweries, Ballard is home to some incredible indie shops, too. Lining the streets of historic Ballard Avenue are some of Seattle's best places to find something special. From vintage homewares and one-of-a-kind finds for the thrifty individual to high-end staples or contemporary pieces for the trendsetters, this little corner of Seattle brings it home when it comes to top-of-the-line fashion offerings. If you have yet to visit one of the greatest consignment stores around, what are you waiting for? You can (and will) spend hours taking it all in. With store entrances on both Leary Way and Ballard Avenue, it's hard not to make your way inside. The two-story warehouse is chock-full of furniture, art, lighting, housewares, and clothing from local vendors as well as several so-called "imperfect" pieces from well-known brands like Article and Crate and Barrel. There is truly something for everyone and it's no secret that their helpful staff is ready to help you take something home. Whether you've just tragically run out of Chemex filters or need a new knit sweater because it's almost always sweater weather in this corner of the Pacific Northwest, this has-it-all boutique can provide. There's clothing for men and women alike, but also home goods for when that arm chair needs a woven throw blanket. A gift shop, especially one along the historic stretch of Ballard Avenue, has to really bring the goods. Luckily Lucca, a trove of Europeanesque trinkets and treasures, does exactly that. It carries a sharp selection of seasonal sundries—Halloween decorations, Valentine's Day treats in pink and fuchsia—and simultaneously maintains an inventory of year-round goods, like candles that aren't severely cloying but rather nuanced and elegant, or natural skin care essentials rarely found elsewhere. Books, pins, greeting cards—yes, those great finds live here too. Prism, which is a paradise of gifts you buy for others but totally end up keeping for yourself, shines a colorful light on an eclectic range of his and hers apparel, housewares, and jewelry. Clever products, too, like conversation-starter coffee table books, dwell inside this modern boutique on Ballard Avenue. Folks can also find a variety of clothing and even toys for their fashion-forward children. If you're looking for something a little controversial or a bit quirky, this place is a go-to. Paying homage to a mix of western, rock and roll, and Pacific Northwest aesthetics, Gold Dogs hosts an extensive collection of secondhand clothing and vintage western boots. Upon entering, you'll understand just what "the boot wall" means. Since finding their home on Ballard Avenue, the owners have added to their vintage collections with newer, trendier pieces from top-notch brands like Lack of Color, Free People and Pistola for the ladies. Walk away a happy shopper with a cutting-edge pair of cowboy boots, a perfectly worn-in band tee, or a show-stopping wide brim hat. An adorable hidden gem on NW Market Street, Trove is packed with a well-curated collection of vintage finds. Enter a different era as you browse the thoughtfully color-coded racks inside. Recently engaged and looking for a secondhand dress? They opened a bridal section in 2014 that features over 100 vintage wedding gowns, accessories, and jewelry from the late 1800s through the 1990s (available via appointment only). 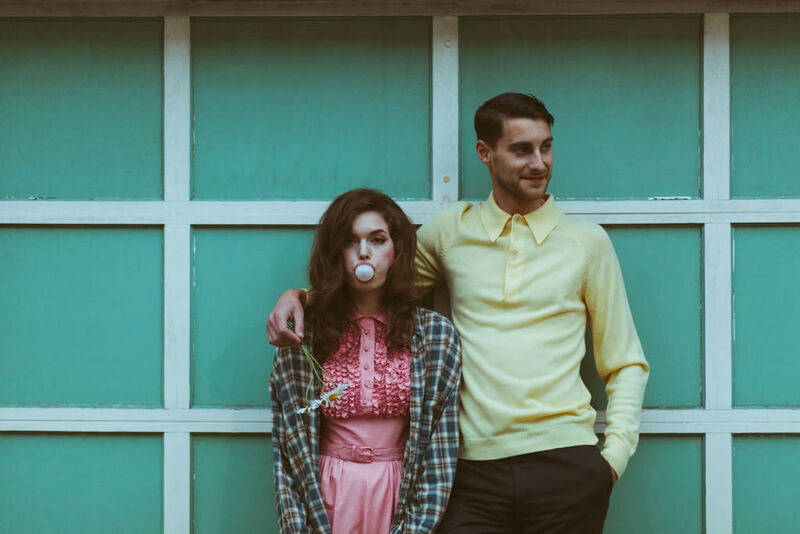 Offering quality vintage clothing and accessories for men and women, Lucky Vintage's offerings are hand-picked by a talented staff of buyers for their design, quality, condition, and wearability. They carefully inspect each garment, and mend wherever necessary so everything's ready-to-wear. In addition to their Ballard boutique, they also have a spot on Capitol Hill, but each shop has a unique inventory with new items added daily. This isn't your typical women's boutique with the usual earth-toned everything wardrobe—and you can thank Horseshoe's stylish buying team for that. Rather, it's a place where your unique sartorial vision is what's most important. That's why Horsehoe is here to help in the personal style department with its complimentary one-on-one styling service (by appointment). Though, being the expert shopper you very well may be, there's plenty to peruse solo from brands like Seattle's own Prairie Underground to the ever-trendy BB Dakota.